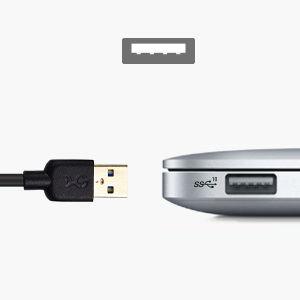 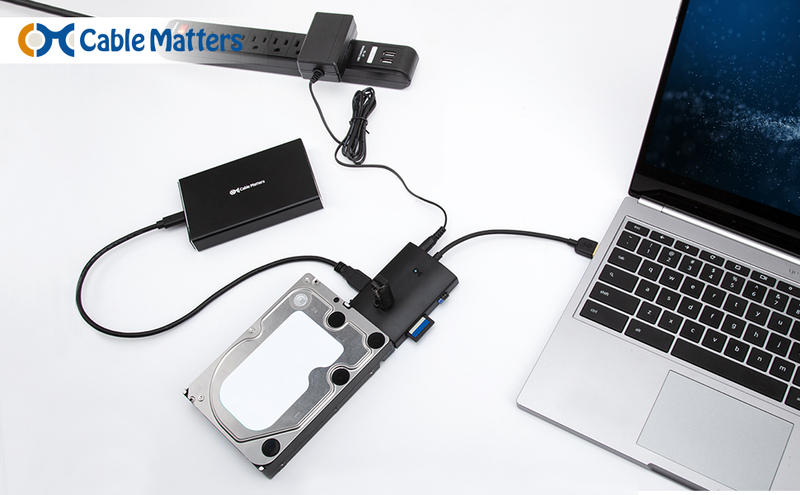 The Cable Matters USB-A Multiport Data Hub transforms a USB-C port into a multi-function data hub. 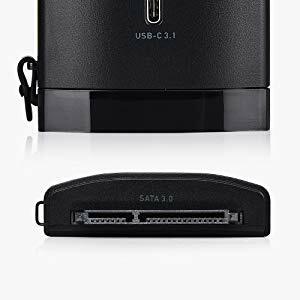 Transfer files from any USB-A or USB-C drive or smartphone. 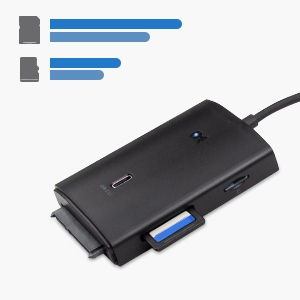 Backup-files to a SATA 2.5" SSD or a 3.5" HDD. 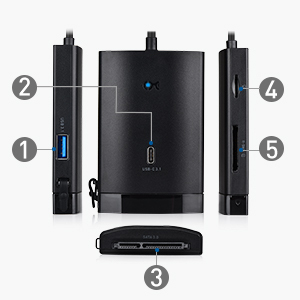 Connect a SATA optical drive to read a CD or DVD. 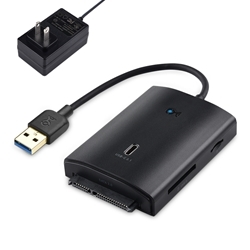 Read and write to an SD or microSD memory card with both UHS-I and high speed UHS-II support. 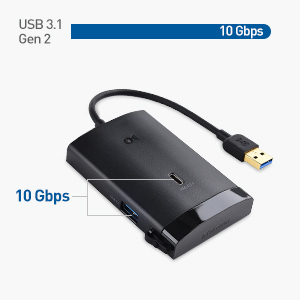 Manage all your data from the latest gaming computers with a USB-A 3.1 Gen 2 10Gbps port. 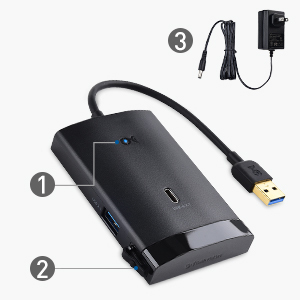 Migrate data from a computer with a USB 2.0 or USB 3.0 port.